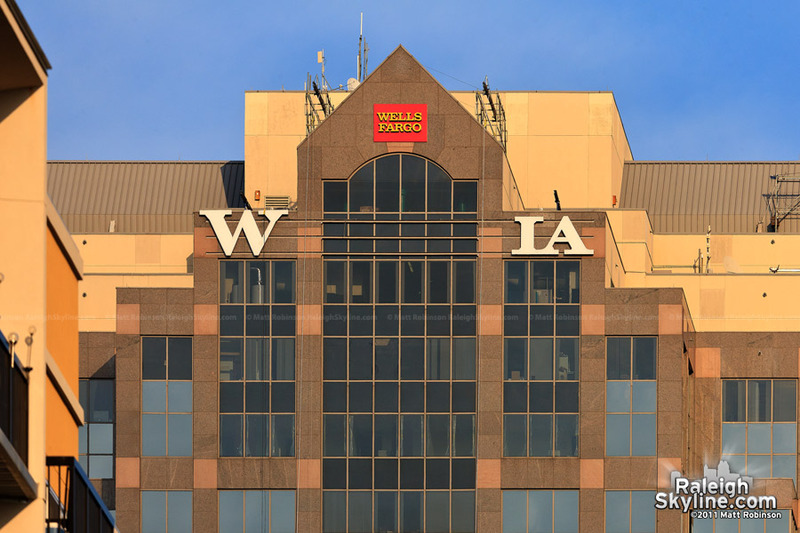 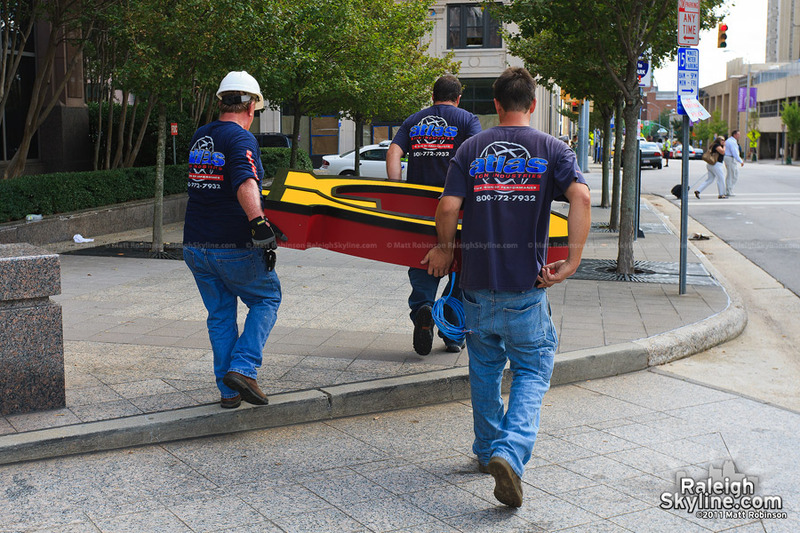 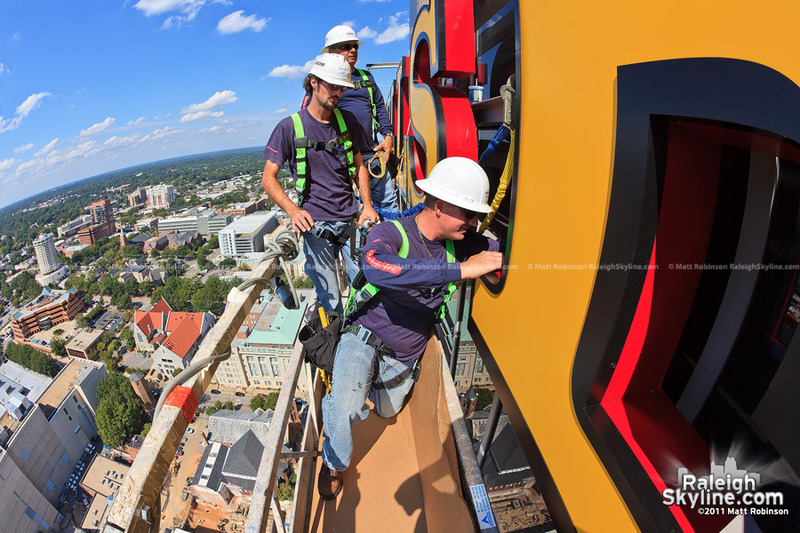 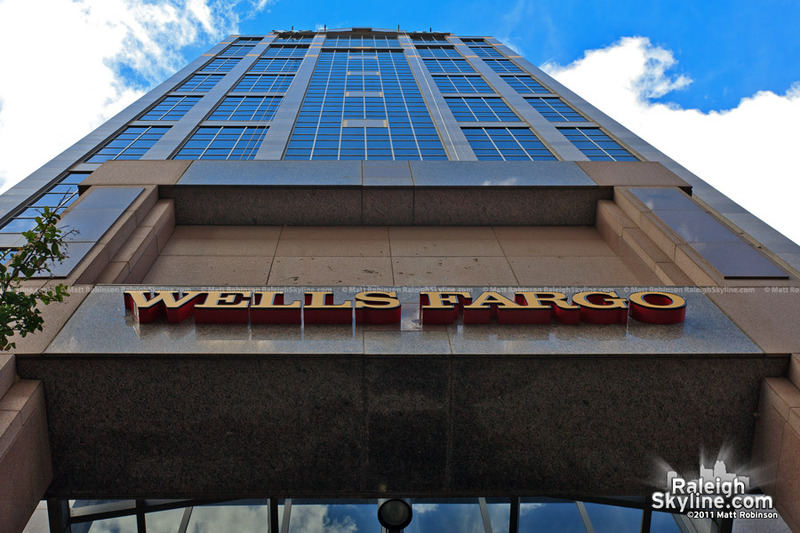 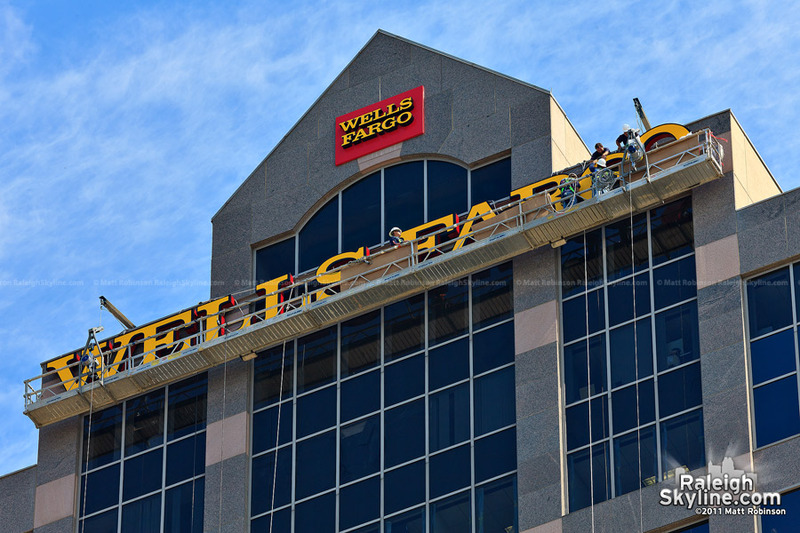 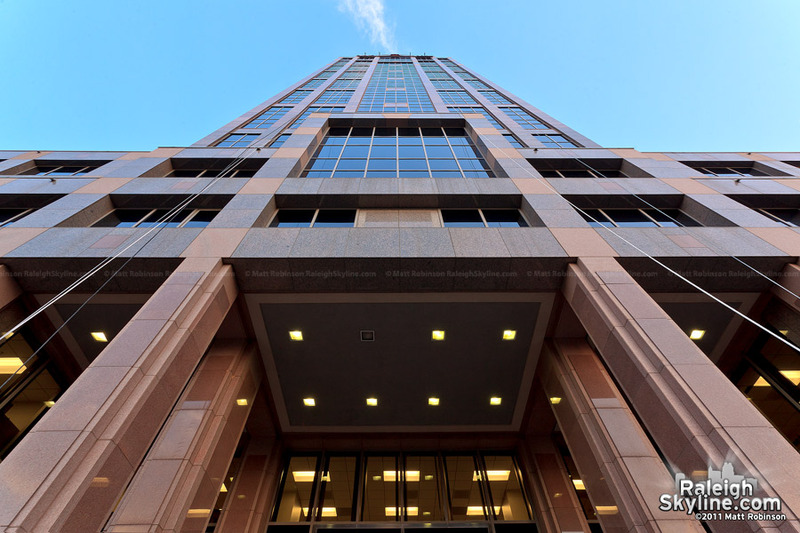 Due to Wachovia being absorbed by Wells Fargo, all Wachovia branding is being replaced across North Carolina- including the signage atop downtown Raleigh’s 380 foot tall Wachovia Capitol Center. 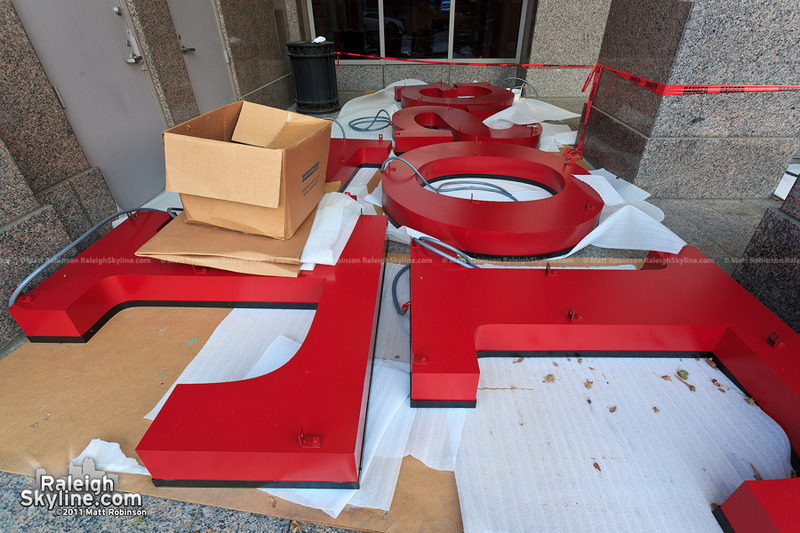 I’ve been following the replacement of the sign over the past few days, and today I got an opportunity to see the procedure up close. 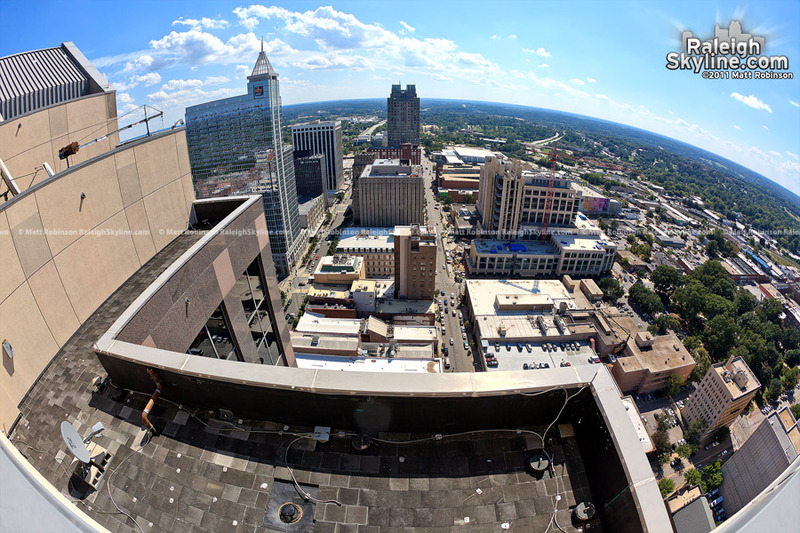 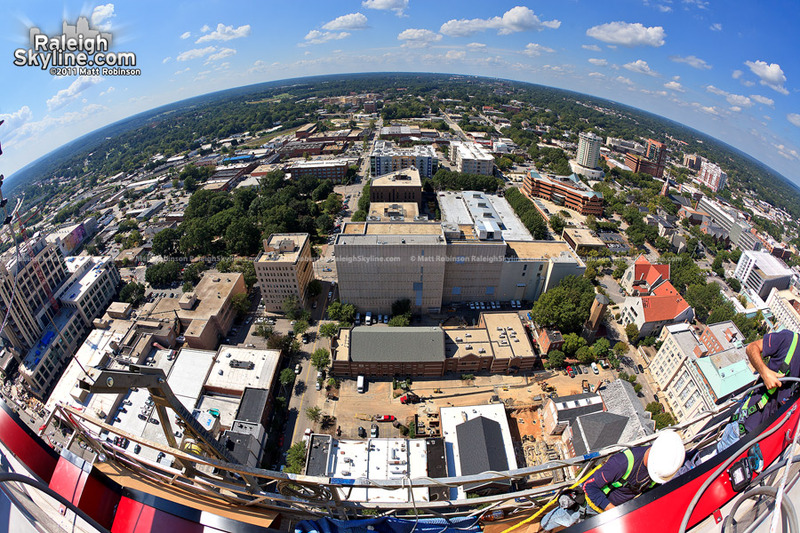 I’ve been on the rooftops of many of downtown Raleigh buildings before, but never clinging to the side in this fashion. 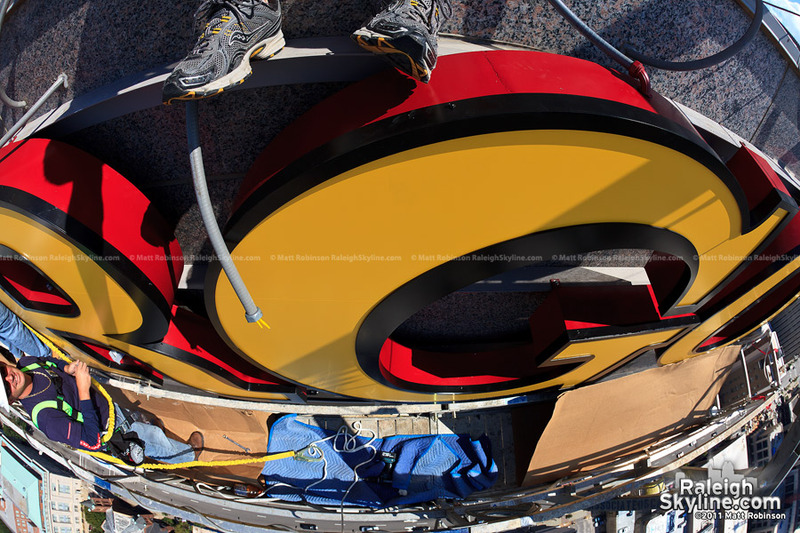 Thanks to Atlas Sign Industries and the building engineer. 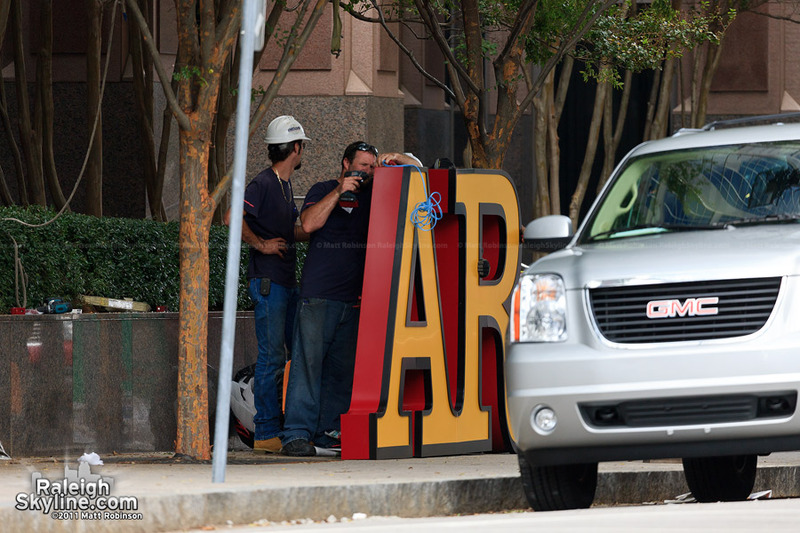 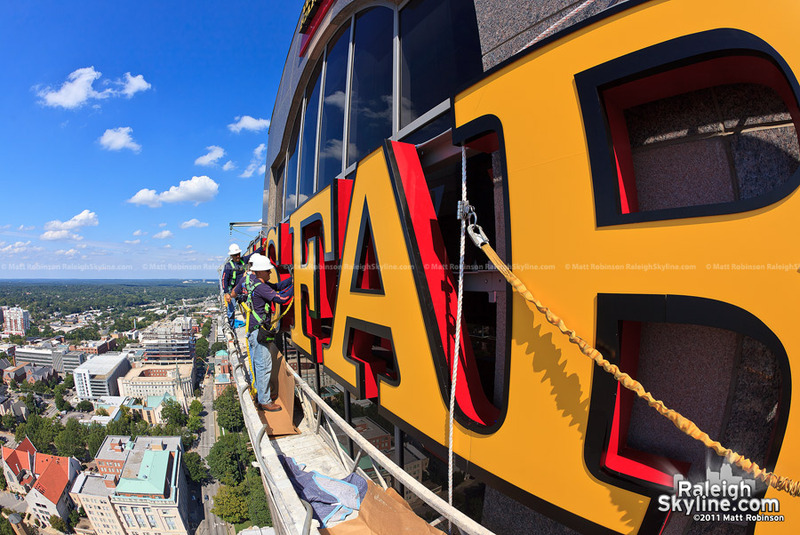 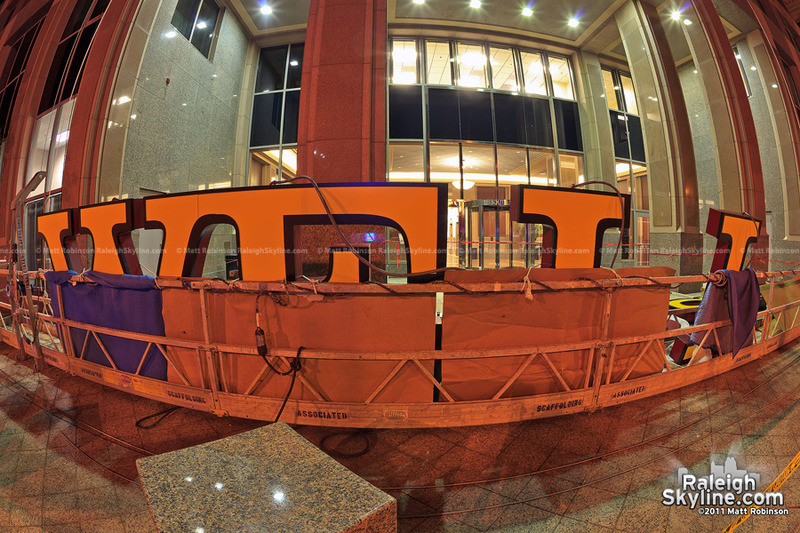 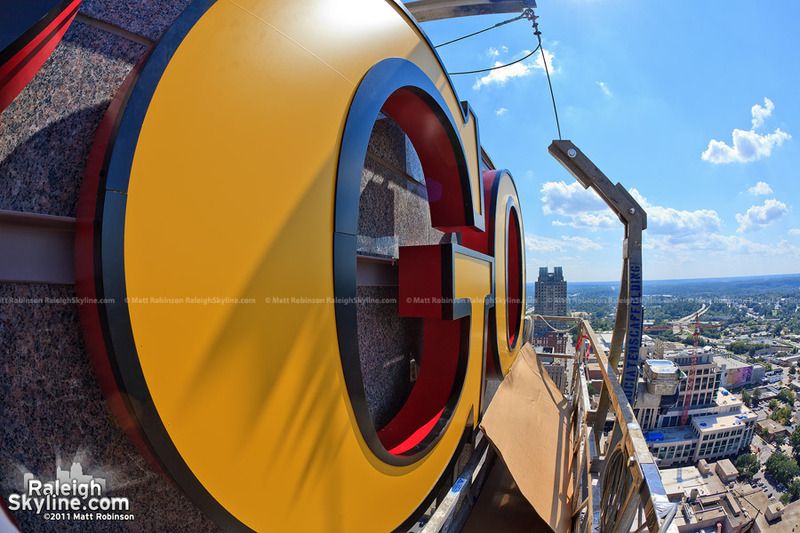 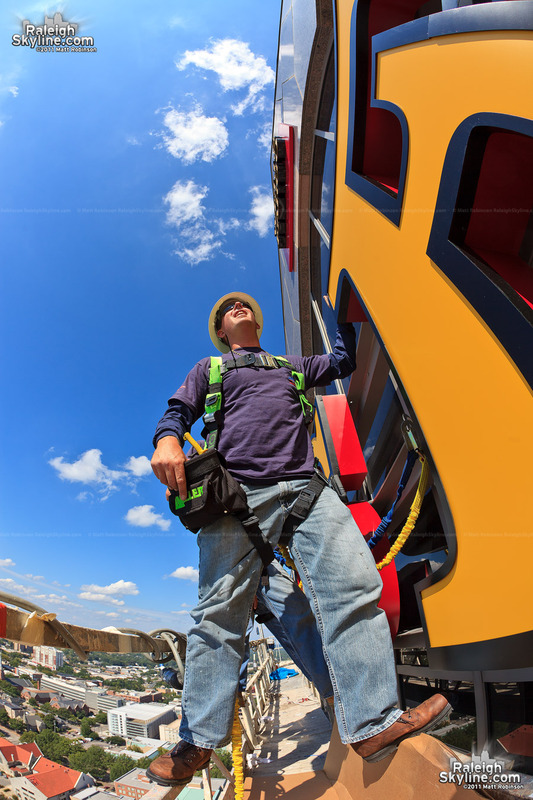 Here is a look at the progress of the sign installation before the main letters were hoisted up to the top. 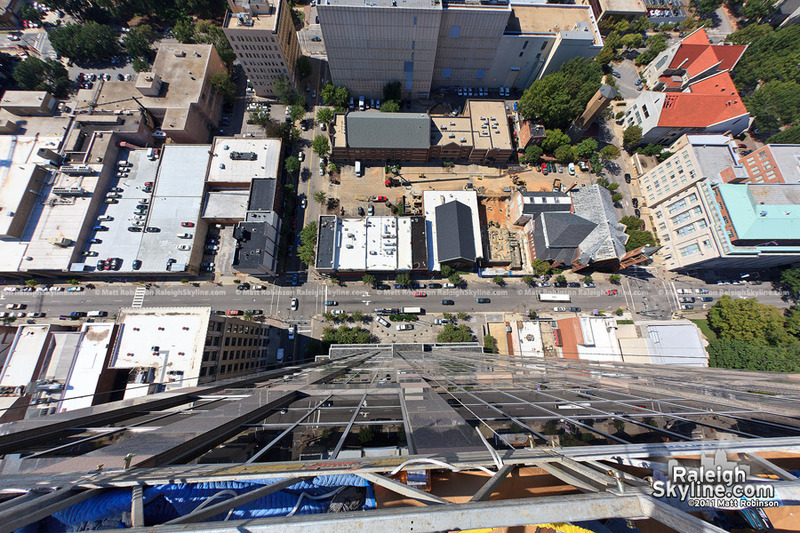 Coincidentally, I wasn’t alone on the rooftop of the building. 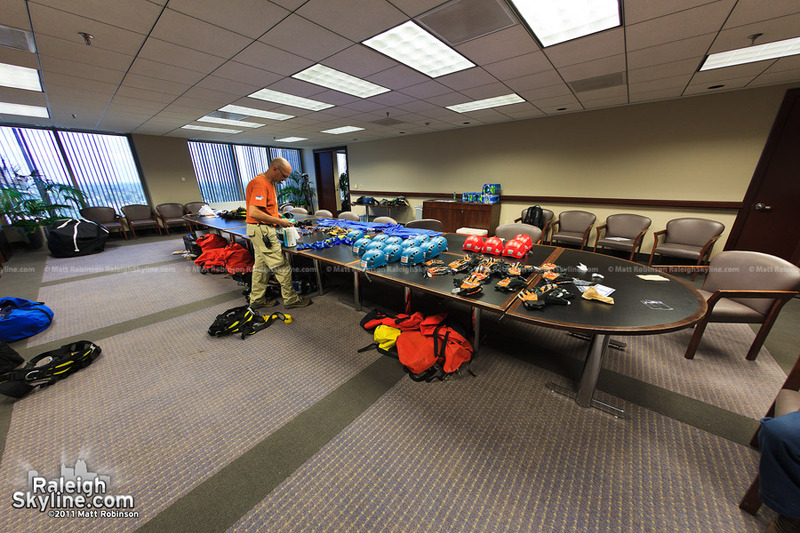 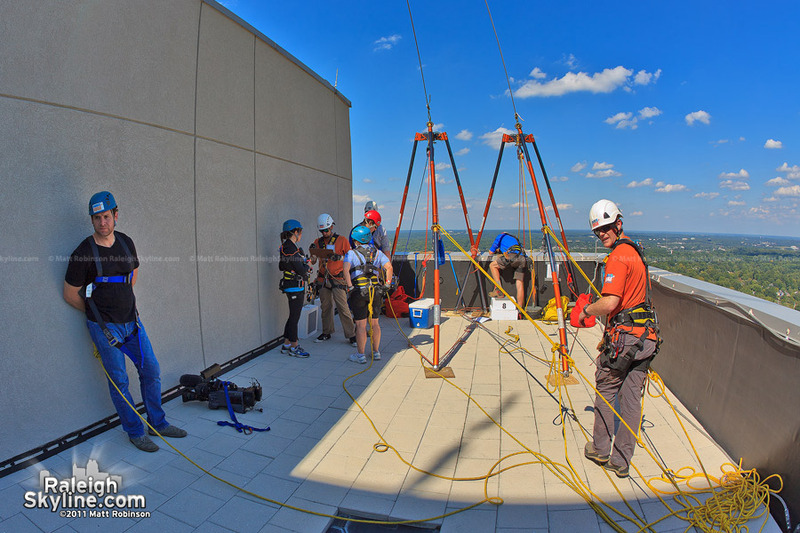 The Special Olympics have an event called “Over the Edge”, where people can donate to rappel down the building.